Back at the San Diego Comic Convention! Now in its 46th year, and for me the 22nd; also known as Comic Con International or just simply, Comic Con. The event now holds about 167,000 people, ever-growing but not as fast where the convention center has reached its limits, with hope for expansion in the far future. 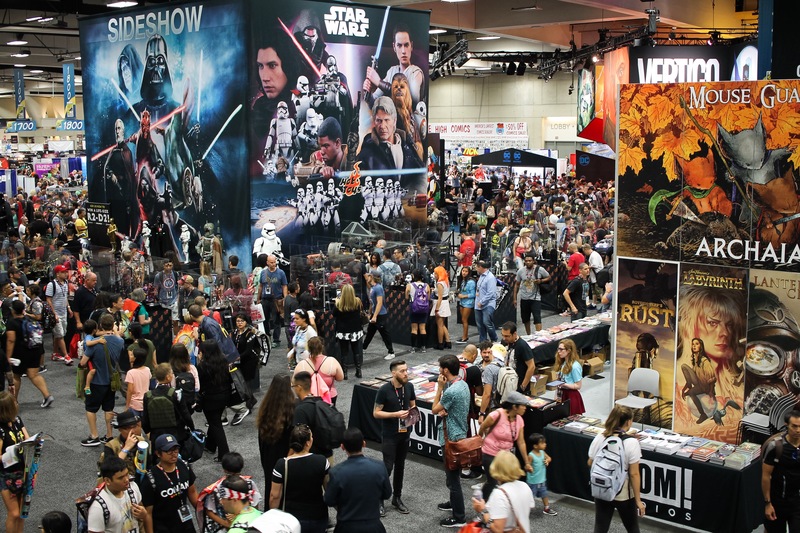 Meanwhile, there are many more events and happenings outside the con, unaffiliated with CCI; where most are run by big media companies and promoters of new movies, television shows, and games. 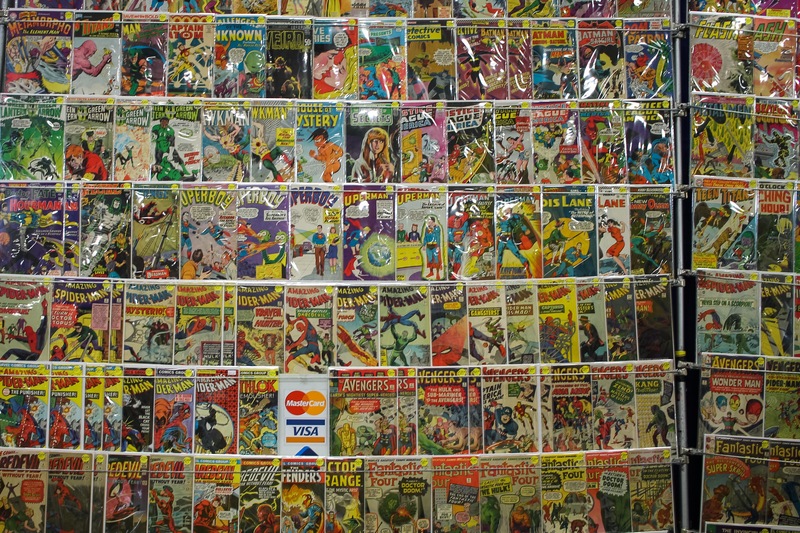 Comic books sadly, are not as visible. 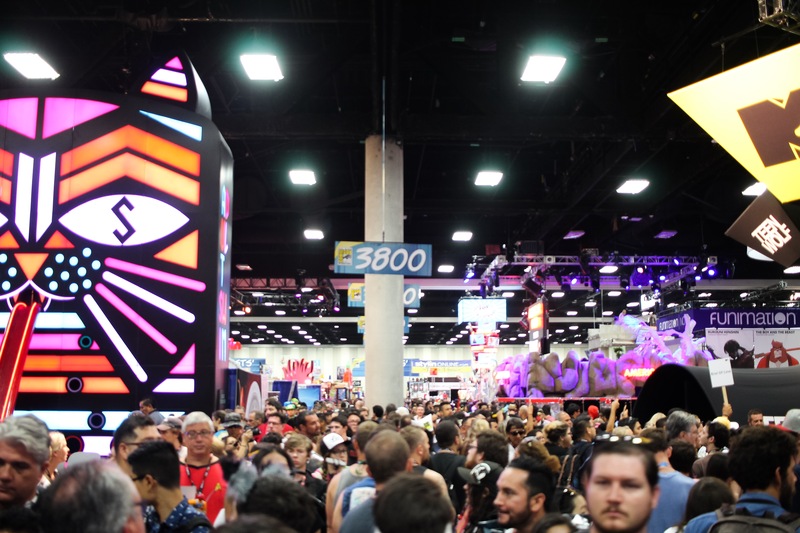 Inside the show, is my favorite area; especially the Exhibit Hall, with a football floor sized area filled with the best creative talent, booth displays and merchandise a Comic convention attendee could ask for. Every year, show goers have goals. For me, they change; now looking to meet new creative talent discovered in the last cycle of comics reading. Then, shopping for exclusives and odd finds. Swag, interesting visuals, along with meetings and interesting conversations with fellow attendees all fill the great in-between moments. Comics here are quite visible, if you are looking for them. The overall atmosphere itself, with the situation below depicting a somewhat calmer moment free of exclusive hoarding and celebrity snappers. To simply walk around and see what’s new and interesting is a prime cornerstone of attending. 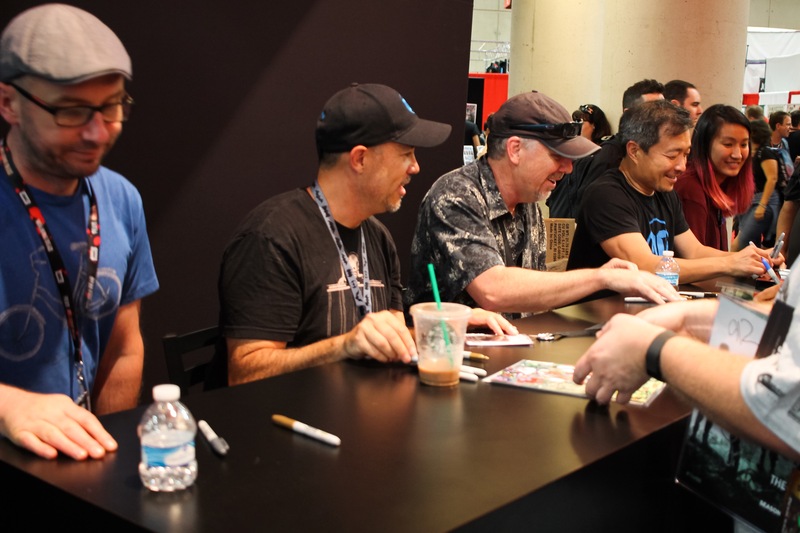 Notable writers, pencils, inkers, colorists are important to the overall Con structure; as many fans arrive from afar to meet and greet, gaining signatures and perhaps a sketch if lucky. Below (fourth from the right is Jim Lee). 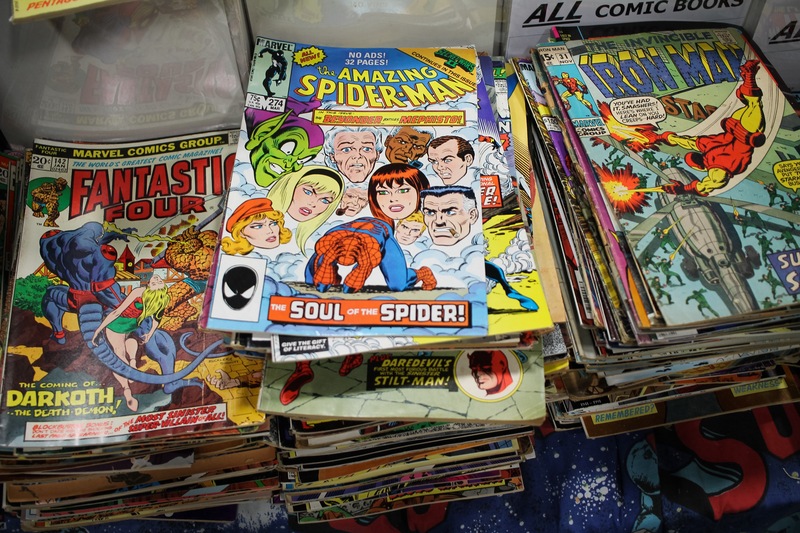 Comic Con remains a hub for those who collect comics in their original form, with heavy emphasis on back issues. Notable rises in back issues for prices are titles and featured issues including Black Panther, Luke Cage, Flash, Venom, Doctor Strange, Spider-Man. While comics are better preserved in their plastic bags and boards, there is a wonderfulness on seeing aged books out of bag and board. One fav booth does just that, selling them at a reduced flat rate. I took much joy in making a bundle of my own. People love their autographs, some more than others in their hunting. 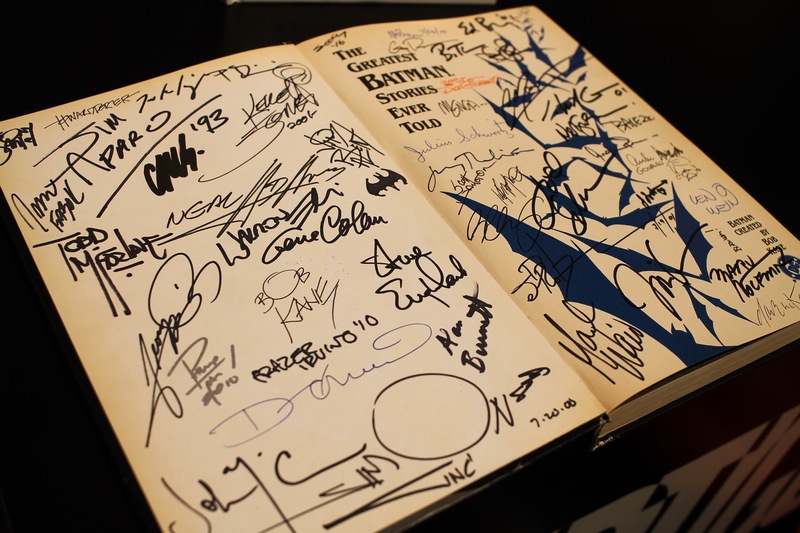 One attendee showed me his Batman hardcover book, filled with many pages of creative talent and notable persons who made Batman what he is today. Another page, of many more. 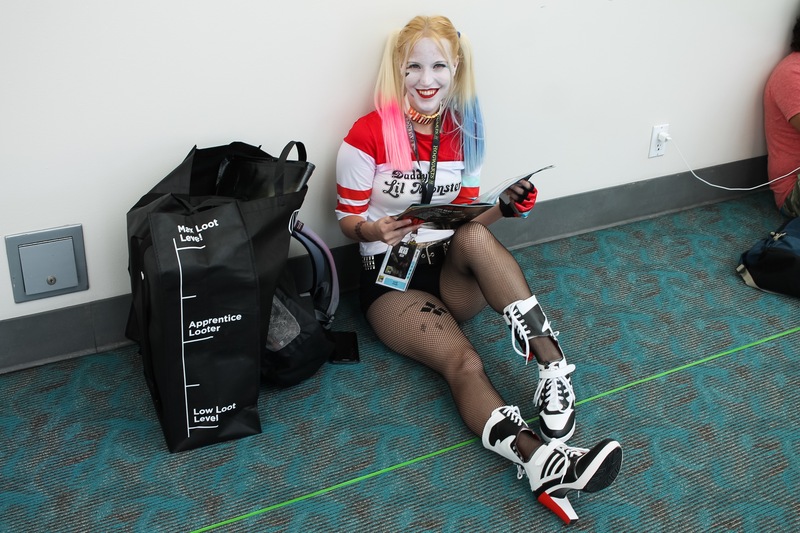 The most noted among the new cosplay crowd, is Harley Quinn as depicted from the new Suicide Squad movie. Such was likely the plan by its marketers, for the fans to have fun with the outfit and add to the movie hype. I approve, and hope the movie lives up to the hype. 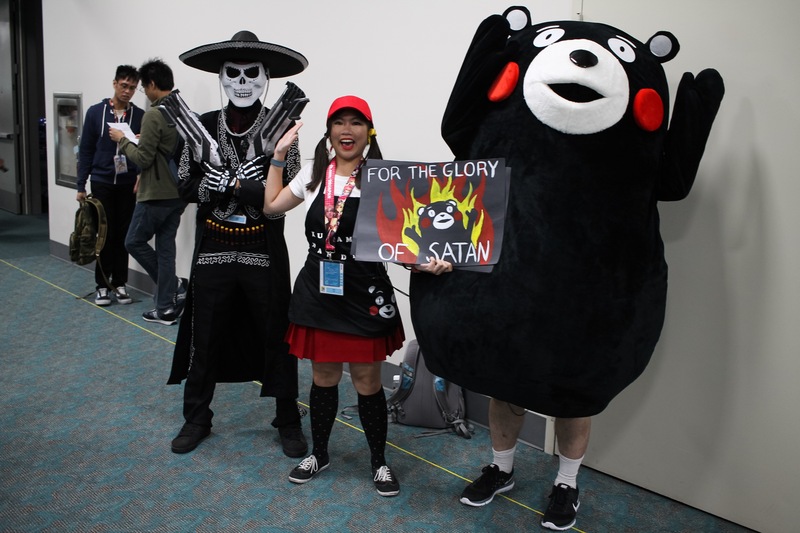 My favorite among the cosplay crowd, are those who represent the more obscure and lesser known of the sub-genres. This looks familiar, and can’t put my finger on it.. I remain astounded by the popular of The Walking Dead. 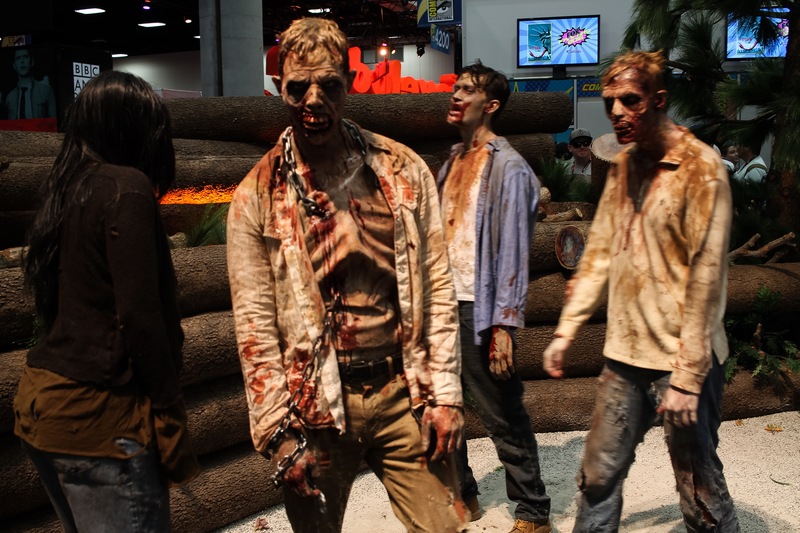 Here, live participants in zombie makeup await attendees at the AMC, Walking Dead Booth. 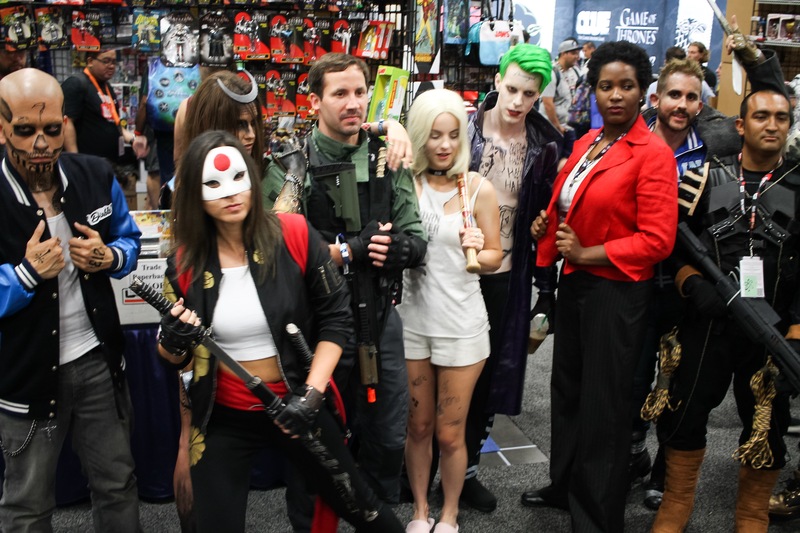 Such is a fine example of what makes Comic Con fun, to promote with more than signs and flyers; by providing fans with over-the top visuals and experiences. New shows are also a thing here, though their interest remains in question. 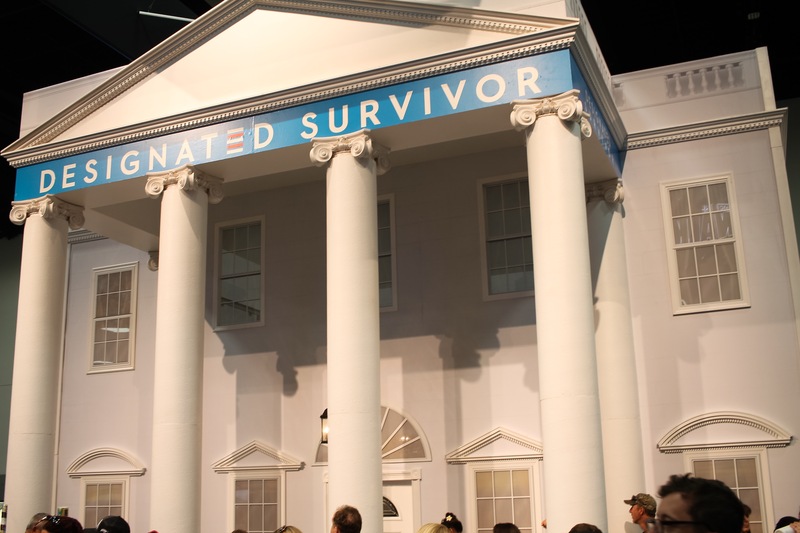 Here, a new show has a walk-in booth created to look like The White House. Usually such booths promise some interesting swag or celebrity greets; which helps generate excitement, I guess. Such is less and less for me as the Con years go. 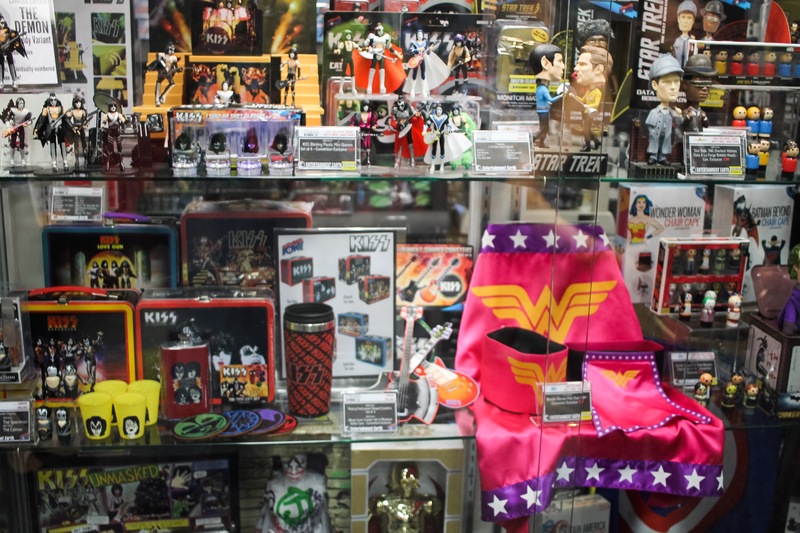 The Entertainment Earth booth, one of many here who showcase and sell collectibles. Some items are previews to new products coming out. Other items are show exclusives one must wait in long lines and/or be very lucky to buy. A favorite among the displays every year, the Cartoon Network booth. 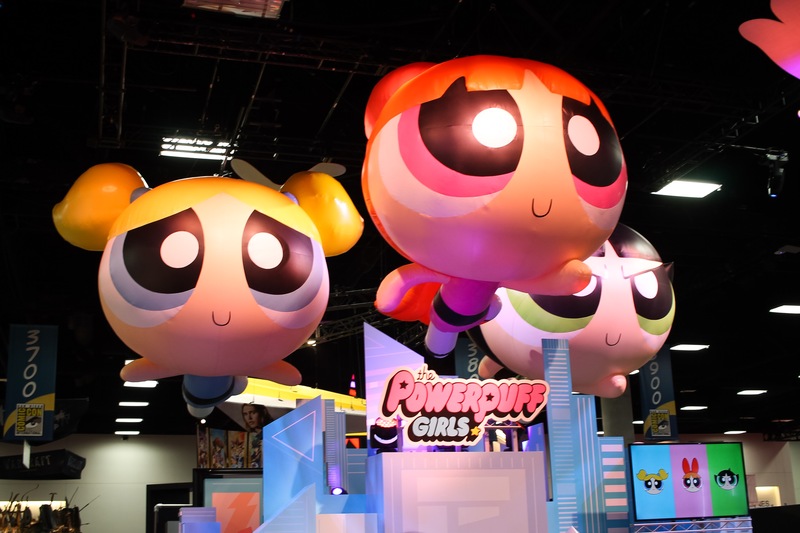 This year, the glorious return of the Powerpuff Girls. 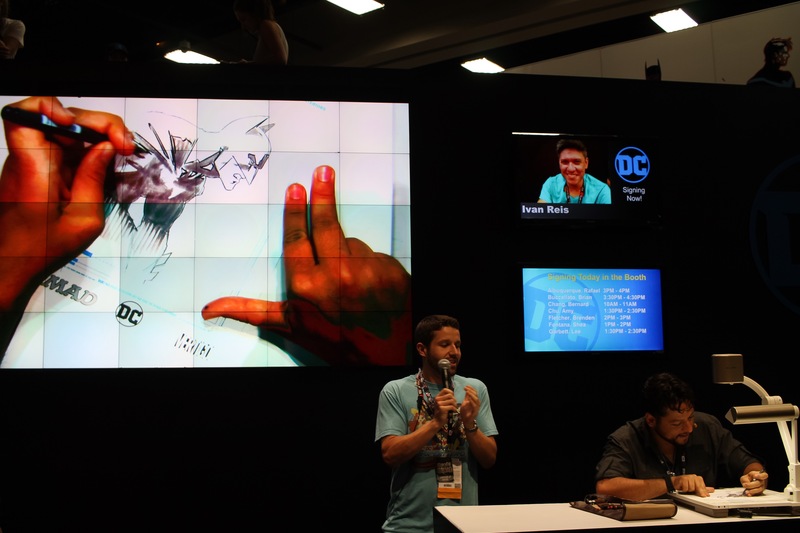 A favorite feature of the DC Comics booth for me are the live sketches. 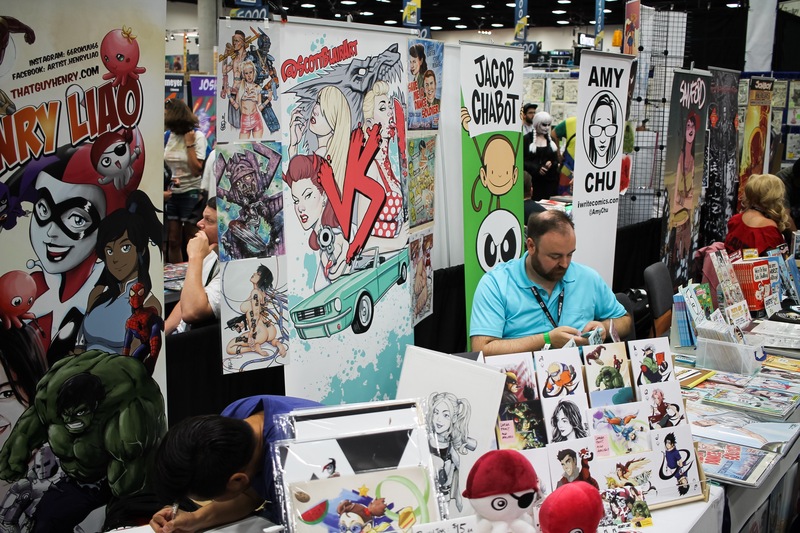 Here is a cornerstone heart and soul of Comic Con, the creative talent who self promote in the small presses and artist alleys. They each, who by their own funding and hard work promote themselves and their work. Interaction is valuable to growth, and helps sustain their daring lifestyles of doing what they love, while they love what they do. 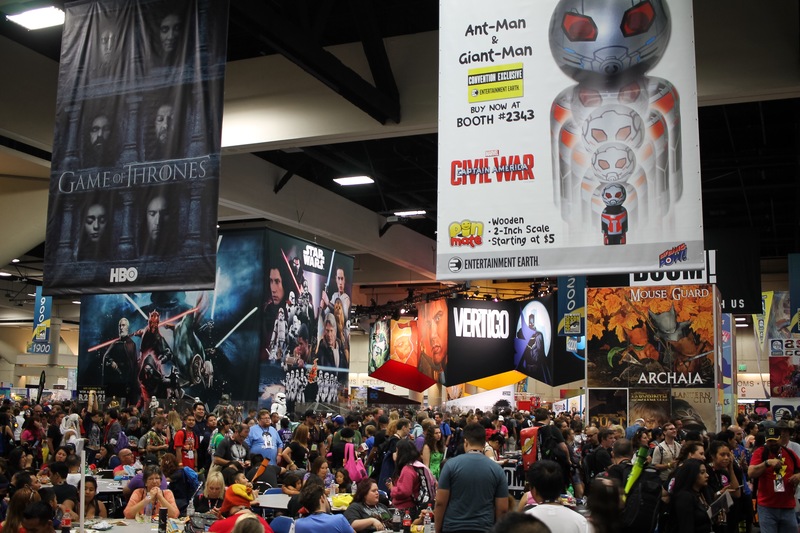 A more crowded moment at Comic Con, at its worse on Sunday when the panels and outside events are fewer. Shopping and swag hunting goes up. Looking a bit closer, are the treasure some will take home for a lifetime. 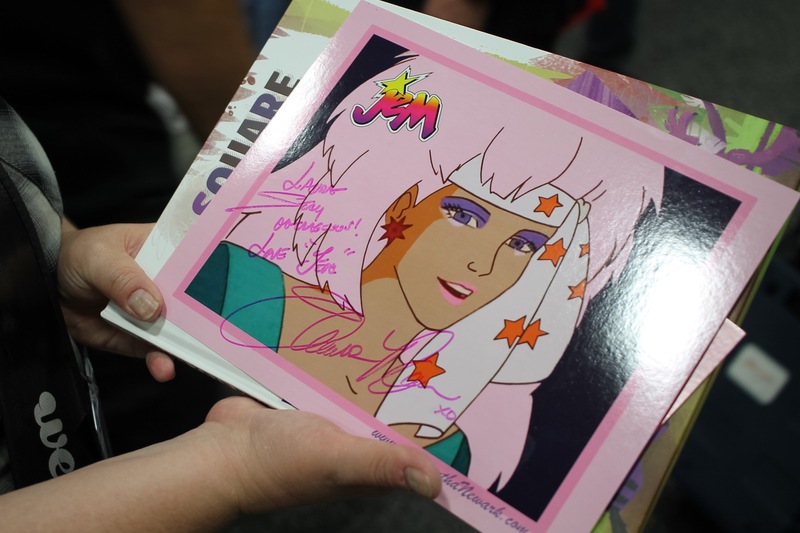 One fan proudly displays a fresh autograph fro Samantha Newark, best known for her work on the classic 1980s cartoon, Jem and the Holograms. Another notable theme of the 2016 year, was Wonder Woman; now reaching her 75th Anniversary. 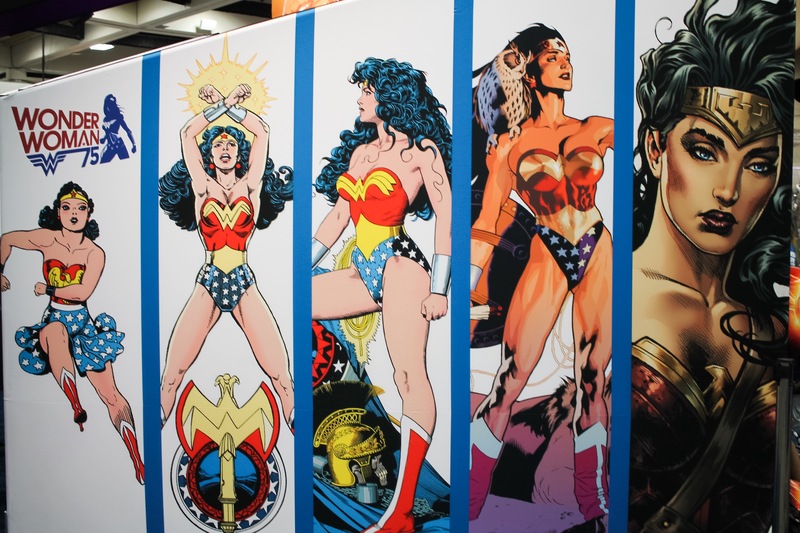 The DC booth and many more gave presence to her cultural impact, across all mediums. 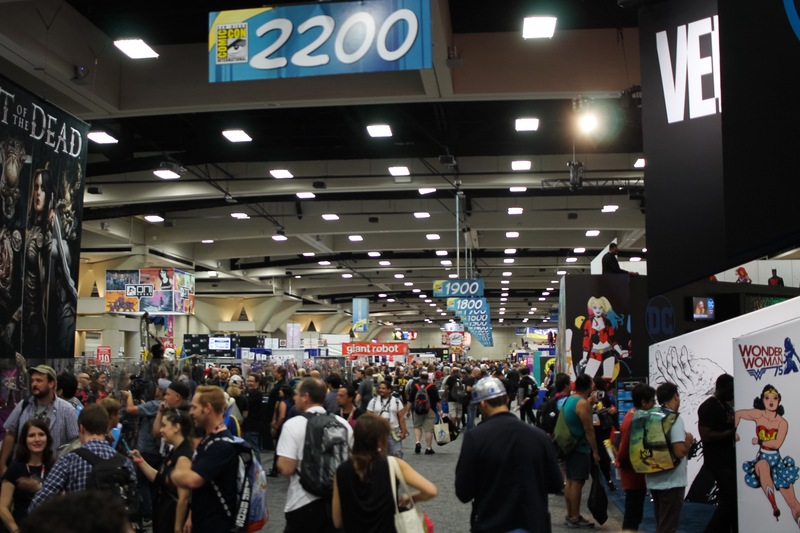 And that’s all for now, as I will go more in-depth on the many aspects and interesting observations of this 2016 San Diego Comic Con. Next post will focus more on the booths, with the products and people who make them awesome..
– Orion T , Captain writer and editor ic, has been attending geek gatherings since childhood, and will continue on until the breathing stops.